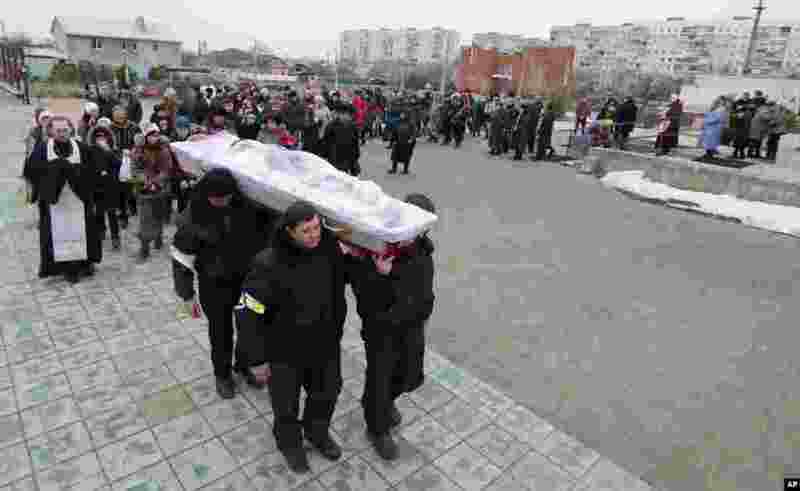 1 Ukrainians carry a coffin bearing the body of Olga Abdurashitiva, who was killed Saturday during an attack in Mariupol, Ukraine, Jan. 26, 2015. 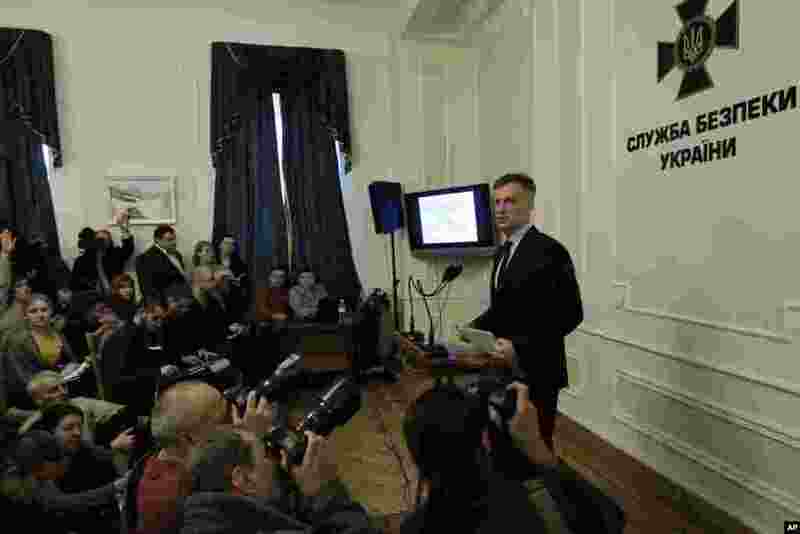 2 Head of the Security Service of Ukraine Valentyn Nalyvaichenko speaks during news conference in Kyiv, Ukraine, Jan. 26, 2015. 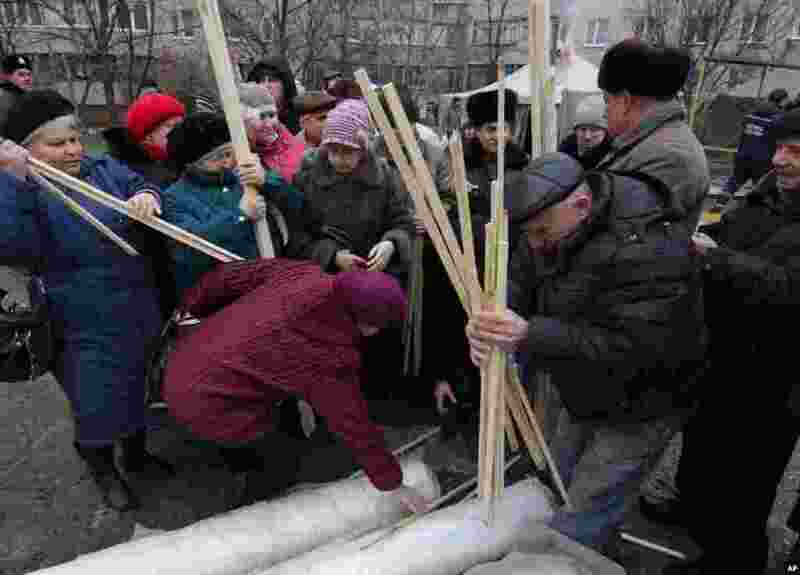 3 Residents collect materials to cover broken windows after Saturday's attack in Mariupol, Ukraine, Jan. 26, 2015. 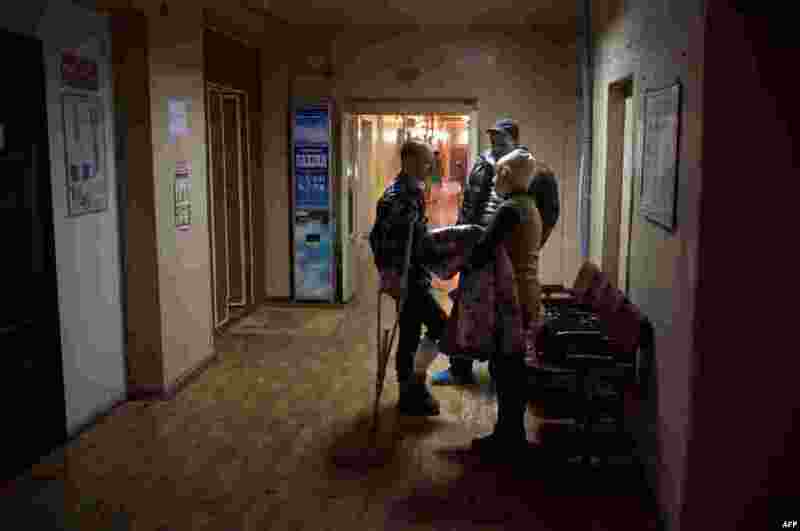 4 People visit their relatives at an emergency hospital after the shelling in Mariupol, Ukraine, Jan. 26, 2015.